The Land of the Rising Sun, Japan, is an archipelago of 6,852 islands. The four largest islands are Honshū, Hokkaidō, Kyūshū and Shikoku, together comprising about ninety-seven percent of Japan's land area. Japan has the world's tenth-largest population, with over 127 million people. Honshū's Greater Tokyo Area is the largest metropolitan area in the world, with over 30 million residents. About 73 percent of Japan is forested, mountainous, and unsuitable for agricultural, industrial, or residential use. As a result, the habitable zones, mainly located in coastal areas, have extremely high population densities. The islands of Japan are located in a volcanic zone on the Pacific Ring of Fire. Japan is one of the most densely populated countries in the world. 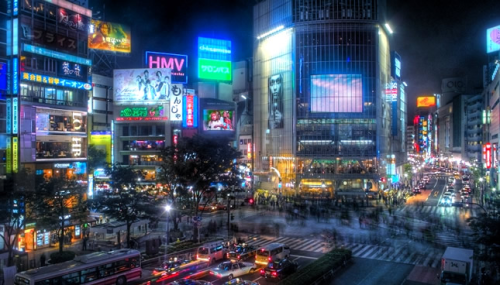 Japan is the third largest national economy in the world, after the United States and China. It has a large industrial capacity, and is home to some of the largest and most technologically advanced producers of motor vehicles and electronics. The nation is one of the leaders in scientific research, particularly technology, machinery and biomedical research. Japan debuted in Miss World 1956 and its highest placement was fourth on the same year. This year, Nozomi Igarashi, Miss World Japan 2012, will be the face of Japan in Ordos. The Times of Beauty proudly presents Nozomi Igarashi, Miss World Japan 2012, in an exclusive interview for our interview series, Meet the Misses. I have a great love for buildings, traditional and modern ones, particularly because I studied architecture as a university student. I have other hobbies as well. My main hobbies are taking pictures while taking walks and drawing with Japanese water painting, called suibokuga. Doing these hobbies allows me to always get along with everyone. As for my country, Japan has four distinct seasons, where one will feel its historical and modern aspects. Being born and raised in Yamagata Prefecture in Japan’s northern Tohoku district, I have grown accustomed to its splendid features. Its seafood is delicious, its mountains are beautiful, and its air is clean. Its rice and cherries are also first-class brands, especially in Japan. Yamagata has many historic buildings that resemble the setting of a historical drama. More than anything, the people there are very warm-hearted and sincere. First, for the pursuit of healthy beauty, it is recommended to create a beautiful body and mind rather than a trendy, skinny body. I want to promote this idea. Second, as Miss World, it is necessary to use this position to help people all around the world. I want to teach everyone the various situations around the world where people need help. Finally, I would like to become a person who could be described as a symbol of “Nozomi”, which means “Hope” in Japanese. I am proud of being born a child of mother earth. When I am immersed in my hobbies, I lose track of time. This is especially true, especially when playing sports or painting suibokuga, (Japanese water painting). I have always been like this. In fact, before when I was an elementary school student, I often visited nursery schools and nursing homes after school. Sometimes I would sing there so long that it would become dark and I would return home late, making my mother very angry with me. It’s a nice memory though now that I think back on it. My family says I'm funny and wise. My friends also say I behave naturally and act to heal them when I'm with them. I don’t know if this is different, but I know that I am a selfless person. I often put the concerns of others before my own. My farewell party for the Miss World Pageant was held the other day. Many of my close friends and supporters came to that party, and I felt so happy and grateful to be supported by those wonderful people. Never trying is worse because we can change anything. When I was in elementary school, I practiced tennis every morning for six years. Then I earned 3rd place in a tournament in the prefecture. It was not 1st place, but my coach recognized my efforts, and I became a coach as a result. If you make effort, somebody always watches it, and this builds confidence. Whenever you feel “now is the right time to start”, just do it. It’s never too late in our life to do so. I want to teach "Love" to the prime movers who led the miserable wars that have hurt people around the world. Beauty is about sound health and brightness in personality. Maintaining a healthy eating habit is the most important point to keep myself positive in mind and heart. In the meantime I exercise, and if I have time I walk my puppy with my friends, take pictures, and go shopping. I like my leisure time. I particularly appreciate the people overseas who helped Japan out in the aftermath of the tsunami that occurred last year. Japan is getting much better and better, thanks to all of you. Personal Motto: To challenge the difficulties, to communicate with people with sincerity.